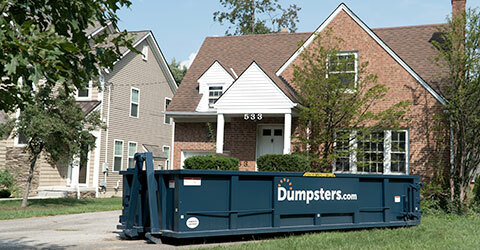 How Much Does a Roll Off Dumpster Cost to Rent? When you call to set up your order, our customer service team will create a quote for you based on four specific pricing factors. We’ll explain each of these pricing components in the list below so you can familiarize yourself with them ahead of time, but please give us a quick call if you have any additional questions. Local dumpster rental prices depend on the availability of landfills, local disposal fees and even regional regulations about sorting and recycling in a given area. 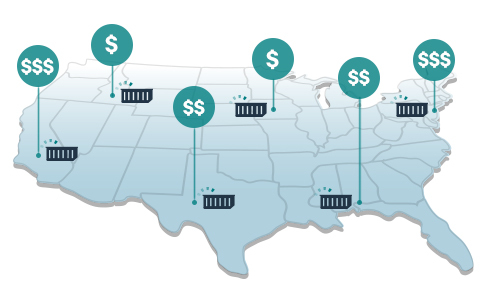 For example, container rentals on the East Coast or West Coast may be more expensive than in the Midwest, and a debris box in a big city may cost more than in a smaller town. We’ll walk you through the dumpster rental process and make you aware of certain local specific regulations including permit requirements. We’re here to help you determine what type of dumpster you need for your specific project, whether it’s new construction or a home cleanout. If you have any questions about prohibited items, just give our team a call at 833-499-7504 and we’ll help you understand the disposal options in your area. The average cost of a 10 yard dumpster is $377.45. This price typically includes a 2-3 ton weight limit, meaning even our smallest roll off dumpster size still holds a substantial amount of debris. The average price of a 20 yard dumpster is $424.73. This price covers a 3 ton weight limit. This is the size we typically recommend for roof tear-offs large cleanouts or home renovations. The average cost of a 30 yard roll off dumpster is $487.71. This price typically includes a 3.5-5 ton weight limit, making this size is ideal for disposing of large amounts of yard waste, bulky items and roofing shingles. The price of a 40 yard dumpster averages $544.73, with a 5-6 ton weight limit. 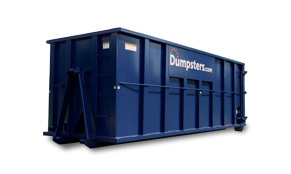 Our largest dumpster size is great for disposing of debris from big projects like major renovations or demolitions. *Please Note: Exact pricing in your area may be different from the averages displayed above. 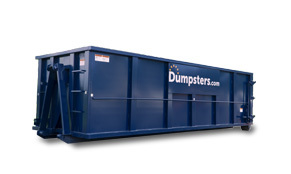 **Exact dumpster dimensions may vary by manufacturer, but the total volume is accurate. 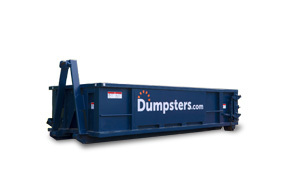 We include a standard weight limit for our roll off dumpsters included in your rental price. When shopping around, you may find that other providers’ rates cover lower weight limits for the same size containers, so always check what you’re getting for your money. If you have any questions, please don’t hesitate to call us at 833-499-7504. The length of time you keep a temporary dumpster is also factored into the cost. Standard rental periods are generally ten days, but if you need to hang on to it longer, that may impact the final price of your container. If you're planning for a long-term project, please ask about our ongoing roll off rental services when you call. Long rental periods and ongoing roll off rental services help keep your project on track and your job site clear from debris. When shopping around for other dumpster rental quotes, be sure to ask about standard rental periods and if there is any flexibility to extend the rental. 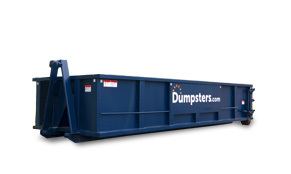 Does Anything Else Affect the Cost of a Dumpster Rental? We charge a trip fee if a driver cannot deliver or pick up the dumpster when they arrive. This usually happens because there isn’t enough room or there is something blocking the location, like a parked car or power lines. Hazardous waste requires handling at a special facility since it cannot be processed at a general landfill. We charge a fee for any prohibited materials placed in the dumpster to cover transporting it to the proper facility. Going over the weight limit included with your dumpster rental may result in an overage fee. This is more common when dealing with bulky items, heavy debris and roofing materials, so try using our weight calculators to estimate how much your debris will weigh. We charge a fee when any material is sticking over the top or hanging over the edges of the dumpster. Remember that our drivers can’t legally transport overloaded containers on the road. We charge a late fee for each day you keep your dumpster beyond your rental period. If you know your project will take a specific amount of time, you can ask for an extension when you call to set up your rental, or set up ongoing roll off rental service. We’re committed to making the pricing and billing process as transparent as possible. Read through our resource on dumpster fees for more information and helpful tips. We’re transparent with our flat rate pricing model. If there are ever any additional service fees for your rental, we’ll let you know and answer any questions you have. We provide a wide range of dumpster sizes to choose from, allowing you to find the right size for your project and potentially save you money by avoiding overage fees. Our customer service team facilitates fast delivery and pickup so your project keeps rolling.